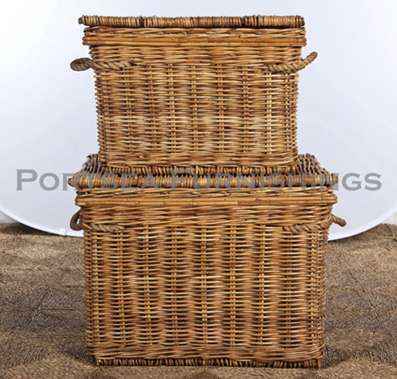 These rectangle basket on wheels are made from strong, hard wearing rattan. 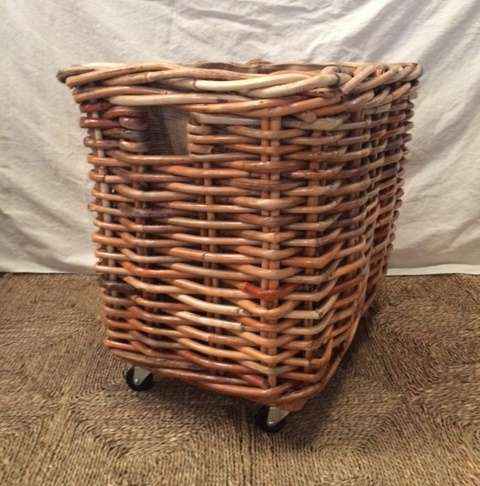 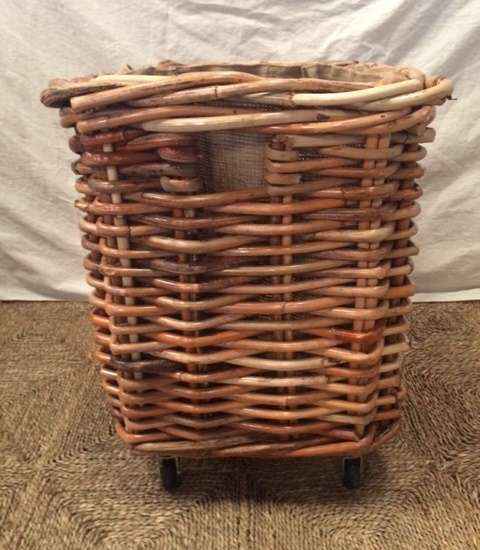 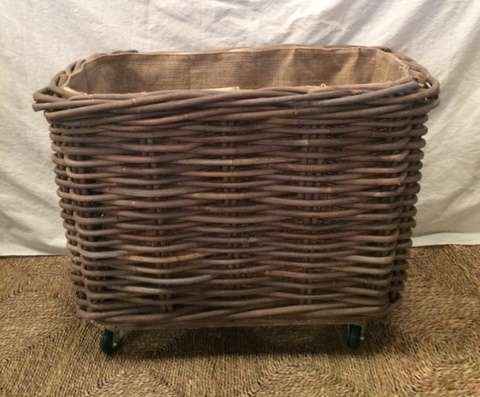 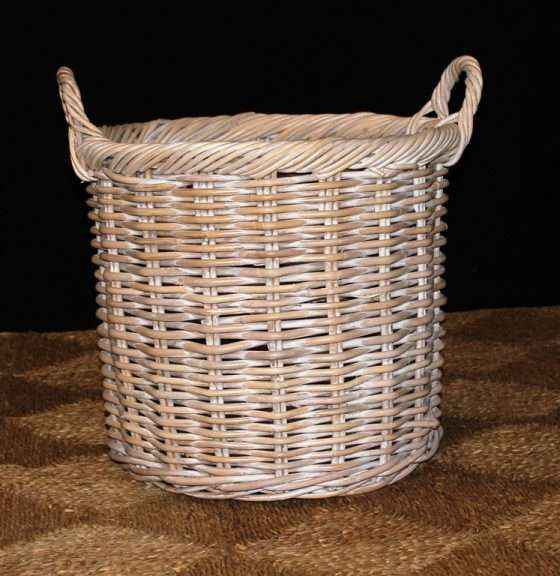 This basket has a very nice slatted timber base. 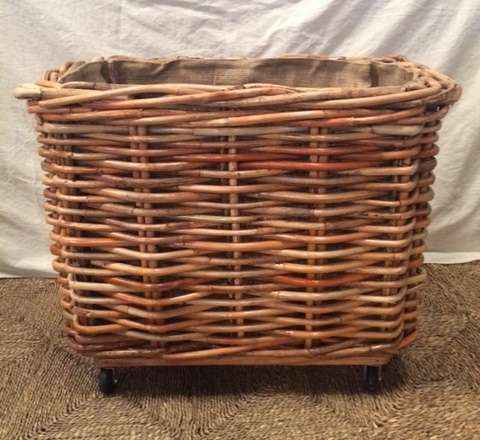 The rectangle basket on wheels will last for years with a bit of TLC. Our baskets on wheels have a multitude of uses including log basket, laundry basket, storage basket, toy box or planter box. 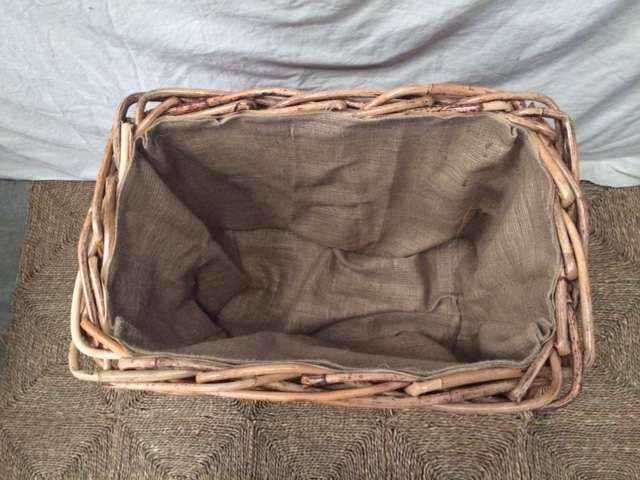 Available in 2 sizes and 2 colours, natural and antique grey. 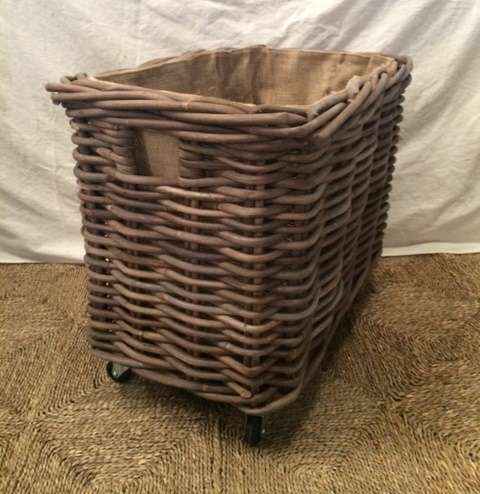 We now have square baskets on wheels too, please phone for details, they will be posted online soon.